Early Childhood Education is a unique experience at TIS. Our teachers are natively-fluent speakers of our immersion languages. All have bachelor’s degrees and many years of experience in early childhood education. Children get the attention they deserve in small classes, and are surrounded by warm, encouraging staff who help them thrive as individuals and work together to succeed. A child’s natural disposition is to be curious. They have unlimited potential to discover the world. At TIS, our young students are fully immersed in the tracklanguage from day 1. Our teachers serve as facilitators by providing endless opportunities to explore, discover, question and problem solve. 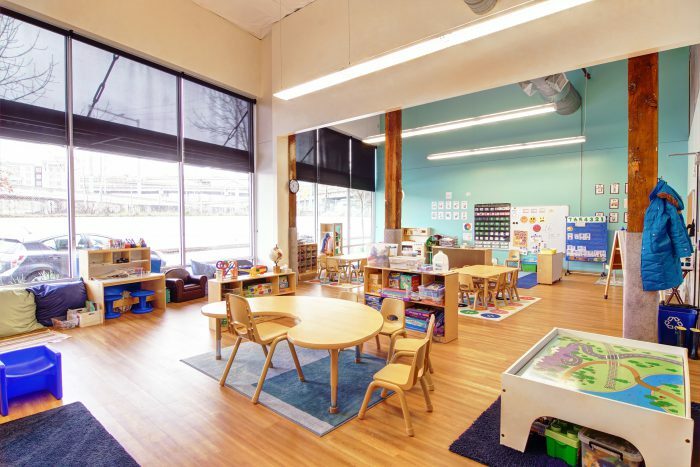 Our learning environments empower children to build relationships and learn together through play, help construct meaning and to find their place in the wider community in partnership with parents, teachers, administrators and other adults. The power of play is the primary vehicle for inquiry. Our program supports thoughtful and intentional opportunities for child-initiated play, hands-on learning, and the construction of learning between teachers and students. Through play and exploration, students learn to inquire as they build and test theories to help make sense of the world around them. From the first day at school, children at TIS are immersed in the target language from the time they enter their classrooms environments. The acquisition of the language is nurtured by the homeroom teachers who use the target language during the meaningful, age appropriate teaching and learning engagements.Students start to acquire the language in a natural way by being active participants and using the language spontaneously during the day. As students enter the classroom, the immersion language is all around them. Children are welcomed by a teacher with native-level fluency, and learn through full language immersion. Through the immersion process, preschool and kindergarten children acquire a second language by listening and gradually trying out new words and phrases. TIS students spend at least 80% of their day immersed in the language, in comparison to 50% or less at most other immersion programs. As a result, our students achieve a higher level of fluency upon leaving 5th grade. Our students also get daily instruction in English language arts starting in 1st grade. Our students learn through the International Baccalaureate (IB) Primary Years Programme (PYP), which is rooted in student-led inquiry. In a PYP classroom, children are challenged to explore issues of local and global significance, to think critically, and to take responsibility for their learning. Within the framework of the PYP, students develop knowledge and skills and deepen their learning by developing conceptual understanding. Our PreK and LowK students study four themes each year, while our older students study six. These transdisciplinary themes enable students to become confident in asking questions to guide their own learning and building on previous knowledge. Art, Music and PE are critical parts of our curriculum. They are taught by experienced teachers who are specialists in their fields. Lessons in Art, Music and PE reinforce the IB central ideas being learned throughout the rest of the school day. Specialists teach Early Childhood classes once per week, using fun, valuable lessons with concepts such as teamwork, fine motor skills and rhythm. Our young students also learn through our four-language Library Media Center. Our Librarian and parent volunteers reinforce IB units of inquiry through hands-on lessons, books in their target language, and school-wide projects that connect them to each other and to the world around them. Click here for a look at a typical day for our Early Childhood students.